The future is coming and it might be coming even faster than you thought. 5% of companies worldwide are using chatbots regularly in 2016. While 80% of businesses in the US want chatbots by 2020. The number will only rise with the availability of technology gets wider while the price gets lower. 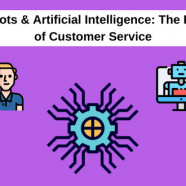 In the customer service sector where a lot of human resources are needed to answer mostly repetitive questions, AI chatbot is especially valuable. So what exactly is a chatbot? A chatbot is a program that is personified to conversationally assist in performing certain tasks usually in the environment of a messaging application. To put it simply, Siri is a chatbot, Google Assistant is a chatbot, and when you tell Lyft to pick you up at home on Facebook Messenger, yes you’re talking to a chatbot. Siri, the artificial intelligence personal assistant, can also be viewed as a chatbot. With emerging online shopping platforms, websites and applications alike. The whole shopping experience is having a major makeover. Customers don’t visit the brick and mortar to browse through items nor they seek out salesperson for inquiries as much as they did anymore. With a tap, a click, a zoom and reading through reviews left by other customers, they decide whether to make a transaction or not. All virtually. What do customers want from customer service? Now that everything in the industry is only getting better and faster, they are expecting only the best. The best shopping experience, the best after-sales service, and the best customer service. The most help and information. In the least time and hassle. Through the most friendly yet professional manner. Customer service should not be just a department anymore, it should be the core and focus of a business. Communicating with the customers and knowing what they want help build the whole shopping experience. In this era where shopping options are plenty and competition is high, the quality of customer service could very well be the push you need to win the race. Collecting data and catering to customers’ needs will be an important step for every business owners for now and moreover for the future. So where do Artificial Intelligence and chatbot come in? A chatbot is the sales assistant, the customer service personnel in the new age of shopping. As mentioned before, a chatbot is a personification. When a customer is engaged in a conversation with a chatbot, they should feel like they’re talking to someone instead of something. Chatbot armored with AI has the power to learn. Through numerous conversation with customers, they are collecting data, and through this immense absorption, they can grow and adapt. Although NLP (Natural-language processing) for chatbots still has a long way to go, Siri can help me shoot a quick text to Mom telling her I’m coming home with takeaway dinner. For me, that’s good enough for now. I don’t expect Siri to be as good as J.A.R.V.I.S, I’m no Ironman. But the customers only expects the best. You better give them a J.A.R.V.I.S. When you have a large number of inquiries coming in every day. You have a lot of data to look at. Through data, you can detect a pattern. Most of the time a large percentage of customers might be making the same kind of inquiry. A human customer service personnel may feel numb and bored by these repetitive questions, but a chatbot won’t. They’re not living, after all, they can’t feel bored or annoyed. Chatbots can be used to handle the long list of repetitive and easily foreseen question that can be answered with a straightforward answer. If you noticed the same kind of questions being asked dozens of time a day? Let it be handled by a chatbot might be a better idea before your customer service personnel can’t handle it anymore. Where are AI and chatbot now? Where will they be in the future? What about human personnels? AI is already widely optimized and utilized in current chatbox services. Most of the customer service chat box you can find in retail sites are actually handled by a human personnel but at the same time powered by AI. Typeform uses a chatbot-esque flow to make your survey more engaging. A list of suggested answers is at hand. 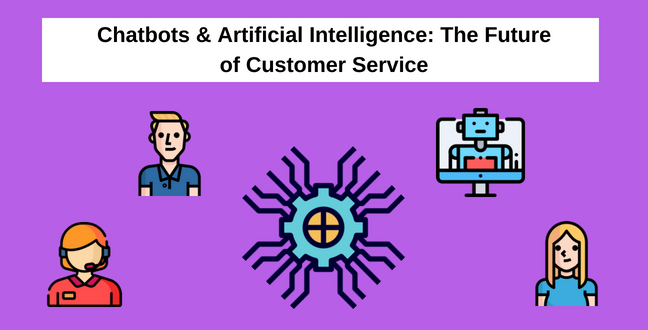 AI also foresee what question the customer has and gives timely suggestion answers so both the personnel and customer can go through the process as hassle-free as possible. Powered by data, technology, and clever programming, chatbots can completely take over the above situation. Initial contact with customers could be handled by chatbots. Instead of the personnel choosing from a list of suggested answers, the chatbot itself decides which answer should be given by analyzing the incoming inquiries. Optimizing chatbots, general inquiries can be completed within minutes. A win-win situation where the customers are happy and tickets cleared. That gives human personnel more time and energy to solve complex or technical questions that require more than a one-liner answer. Greatly reducing the workload of human personnel as only after filtration that an inquiry that requires their expertise would reach them. In an ideal future, chatbots are perfectly capable of handling conversations and complains. They understand the human language completely and can react as needed. However, in the realistic future, it will need a long long time before any machine can pass the Turing Test. Moreover, handle each and every kind of customer need on its own. Chatbots can’t completely take over human personnel because, at the end of the day, they are not human. Now that chatbot can’t be as intelligent as a human, what are they good for? Well, they should be intelligent enough to tell when they need a human to step in. In place, is the ability of chatbot to tell when a situation requires more than what they can offer and promptly connect the customer to a human personnel. The line between when a human person needs to step in or should the chatbot take full control to handle customer service should be tread lightly and cautiously. If not, you’ll be left with a lot of frustrated users, flooded email inbox, and idle chatbots. Let’s think about what a human can do that a chatbot can’t do. First of all, a human can process a much more complex language input and output, which is critical in a conversation. A human can act without following a set of instructions. Most importantly, a human can feel emotions. when the customer is here to complain, or on a brighter side, to send a compliment. Like how AI implemented into chat box software are making things easier for both the customer and personnel. The realistic visualization of how a chatbot should function in the future should be the same, make things easier for everyone. Chatbots won’t completely take over the customer service jobs. Robots will not eat all the jobs. Ideally. As mentioned before, customer service is evolving into the core of a business. It’s only getting bigger and everyone will need all the help they can get. That help will be chatbot. Though chatbots now are buggy and their self-learning function is terrorized by fun-loving-crowds at the moment. As all things science, human will push the boundary of knowledge and one day NPL technology may be good enough to help create bots that can converse fluently. In the future of customer service, customers won’t be able to differentiate whether they’re talking to a human or a bot who passed the Turing test. In the future, bots will be the first line of contact in customer service line.